10 Things We Never Did and Never Will Do! Ever Play Volleyball Like This? I Am A Deer--What Forest Animal Are You? God is AWESOME--What a GREAT God! This non-fiction book is about a horse named Snowman, a plow horse, who with his owner, Harry, went on to become a world champion show jumper! The Eighty-Dollar Champion by Elizabeth Letts has it all. The story is so good and the writing made me feel as though I was right there cheering on Snowman! I hated to see this book end; I loved it so much! I hope a movie comes out on this book. If you don't read The Eighty-Dollar Champion, you are missing out on a great story! For sure, it is in my top ten or even five for my books of the year. Today would have been my mom’s birthday but she’s in heaven with Jesus today. I remember though her telling me about how happy she was the day she trusted Jesus as her personal Savior as a little girl. She went to church with her best friend who invited her and became God’s child the day she believed Jesus died for her and rose again and asked Him to forgive her sin and come into her heart. She went home singing: I’m a child of the king, a child of the king, with Jesus my Savior; I’m a child of the king. I love the fact that I know I will see her again because I am a child of God too. Although I miss my mom and often wish I could talk with her, I am so thankful she was my mom. She was such a giving and caring person who had a tremendous influence on me. Today I am helping with the fall festival at church by running games and handing out candy. If mom were still alive, she would probably like to come with me to see all the costumes the kids will be wearing. She always liked to see the kids in their costumes on Halloween. When tutoring, we were surprised to find out that the third graders didn't know what an encyclopedia was. With the Internet, Google and Wikipedia, guess encyclopedias are pretty much a thing of the past. I have a set though! My bone density test showed I have Osteoporosis in my legs and hips. Oh well. So much for the bone medicine I'm taking! The good news is though that my surgeon said I can play volleyball if I want. I thought I finally found out why my cell phone alarm hasn't been working to wake us up in the morning (I think). It was on snooze. Don't know how that happened! Took it off snooze but it STILL didn't work! Wonder what's going on with this. I'm glad that's my biggest problem right now! Life is good. UPDATED 10/29/11: I finally called customer care and it turns out somehow my phone was on vibrate. I reset it to tone and now my alarm worked--yea! I must have put it on vibrate and forgot to turn it back. No wonder I didn't hear my phone ring when Gerard called! 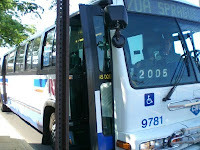 Stop by Half-Past Kissin' Time for more Friday Fragments or to link up yours. We are giving away an audio book ("The Leftovers by Tom Perrotta) at Grab A Book From Our Stack. We would never . . .
Buy a farm. (Too much work). What are some things you would never do? I went to play volleyball on open gym night at church just to have some fun and get some exercise. I haven’t played for about 3-4 years, but enjoyed it. The only thing that seemed strange to me was the scoring. I always thought the game was to 15, and you had to win by two, but only the team serving scored points. It seems there is another scoring system where both teams can score whether they are serving or not and the game is to 25. The last team to hit the ball over the net gets the point, whether they served it or not. I believe they called it “rolling” scoring. I was on the losing side both games, but they were close. My arms were pretty red and although others played more, I didn't want to be out that late. It was fun though. Afterward, I thought if I should even play because after my lumpectomy in fall of 2009, my surgeon told me to be very careful not to bump my arm or get any bites or scratches on it. I wonder how long I have to watch that because he also told me not to let anyone take my blood pressure or give me a shot on my right arm ever! Hmm. I better check with him before I play again. Have you ever played this way? You're invited to join us on Tuesdays at 7:30 p.m. at Parma Heights Baptist Church next to ParmaTown Mall (across from Walgreens) if you live in the area. Being an animal lover and liking the woods, We just had to take this quiz to find out what forest animal I am. It said we are both deer. I think every one of the personality traits describes me (Karen) a bit better than it does Gerard..
You are grateful for this life you've been given. You feel blessed for what you have. Take the quiz to find out and share your results in the comments. Women who eat 6-10 prunes a day have significantly higher bone density than those who eat other fruit. Prunes can help increase bone mass so I'm going to start eating them again. Calling your mother can help reduce stress. I would love to talk to my mom but she died the end of 1999. More than 38% of women pay more than $20 billion per year to manage Incontinence. One way to reduce your risk is to cut down on coffee--Caffeine stimulates urine production and acts as a bladder irritant. There is also a Men's Health quiz at www.parade.com/men. I thought woodpeckers just pecked at trees, but nope, wrong again. 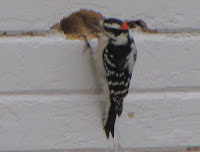 Over at "My Quality Day" I met A Woodpecker Named Murphy who made a big hole in a wood building! Another good reason to have a brick house! "Cancel Your Credit Cards Before You Die" over at Jodi's Journey was the funniest post I read this week. Plus, good advice! You need two pieces of soft material, preferably one print and one solid color. Pin them together in the middle. Mark a chalk line 4 ½” all around the edges. Cut 1” strips up to the chalk line all around. Cut out 4 1/2" squares from all four corners (I forgot to mention this step in the video), sorry. Tie a knot with the top strip and the bottom strip directly under it and pull tight. Do every other one and then go back and do the rest. Remove the pins without poking yourself, being careful not to leave any out where your pets or children could step on them! Pull the sides of the blanket to stretch it out. They also told us how to make cake pops but that involved baking so I wasn’t interested in that. Sorry, I should have paid attention just so I could have shared it with you. What do you think of this craft? Have you made any crafts lately? They all enjoyed the meal very much and were very polite and grateful! Every month, Tim and his dad from our church go to prepare a nice meal at the City Mission for the homeless and I’ve wanted to go with them for a long time. The thing is that they go before I get home from work and I don’t want to drive there myself. Last Wednesday, our Bible study group went to the City Mission to help serve a meal to the homeless which was the perfect opportunity for me to go with others. I’m so glad I did and would love to go do it again! When we got there, we saw several tiny kittens outside the door who greeted us. By the time we arrived, Tim and his dad and a couple others had everything prepared so all we had to do was serve it. By the way, Tim is a very good cook who often puts together great meals for large groups. At the City Mission in Cleveland, the homeless sit in a service first, eat and then those who want can spend the night. Each night a different church is responsible for providing the meal. I got to deliver the food! Could I have another brownie? I felt bad when I had to tell him they were all gone. I really would have liked to been able to chat with them more, but we were in a hurry to get back to the church on time. I suggested our driver bring her GPS in with here but she didn’t. I was relieved that it was still there when we got out! ; I had prayed it would be. It certainly was different from my usual evenings! Homelessness is a problem that tugs at my heart. After reading Breakfast at Sally’s by Richard LeMeux, a homeless man’s memoir, I realize homelessness can happen to anyone, especially in hard economic times. I am so thankful for our home! Two more good books about homelessness I recommend are: Can’t Get There From Here by Todd Strasser (YA), Gideon's Gift by Karen Kingsbury and Breaking Night From Homeless to Harvard by Liz Murray (non-fiction). All these give good insight into the real problems the homeless have and are very interesting books. Spunky says "How do you know it was me?" Spunky Doodle must have become frustrated when she couldn’t get into the treat bag and decided to clear off the counter top! She’s such a Spunkster—that’s what I love about her! She is always entertaining and keeps me on my toes. Spunky takes after Gerard--he likes clear tables and counters too! Fortunately, the lid stayed on so we could still eat the pie and the pill lids were on tight so none fell out. Good thing because human pills can be toxic for pets. 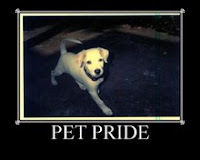 Link your pet post to Bozo's Pet Pride. Based on comments, this is my best post of the week! Click on the Serenity Now badge to find more great posts of the week. Abby has arthritis in her hip and back legs. Hopefully new food and some medicine will give your relief! The good new is her blood work and everything else is all good. 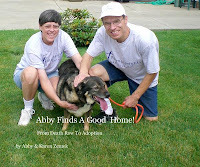 Abby wrote about her new food at We Like our New Food! Through playing Freekibble this morning, I discovered that dogs can jump rope, something mine has not learned to do . . . yet. I can't even jump rope! This video shows 13 dogs jumping rope all together on one rope! It looks like the dogs are having a great time too! I learned from Daisy and Harley why there are so many sales on Columbus Day but think you need to see for yourself at Daisy The Curly Cat's Monday Funnies. I got these items (facts?) about cucumbers in an email and thought they were interesting. I don’t know if they are true or not, but thought I would share them with you. ; Can you vouch for any of them? 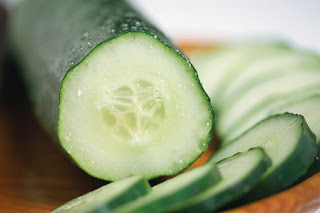 1) Cucumbers contain most of the vitamins you need every day, just one cucumber contains Vitamin B1, Vitamin B2, Vitamin B3, Vitamin B5, Vitamin B6, Folic Acid, Vitamin C, Calcium, Iron, Magnesium, Phosphorus, Potassium and Zinc. 2) Feeling tired in the afternoon, put down the caffeinated soda and pick up a cucumber. Cucumbers are a good source of B Vitamins and Carbohydrates that can provide that quick pick-me-up that can last for hours. 3) Tired of your bathroom mirror fogging up after a shower? Try rubbing a cucumber slice along the mirror, it will eliminate the fog and provide a soothing spa-like fragrance. That's for me, Spunky Doodle! Karen finally decided to get me some new food because she didn't think it fair that I was on the Science Diet for sensitive stomachs just because Spunky Doodle is. The new kind is Purina's Healthful Life Cat Chow, animal tested and for adult cats like me! It's very good and the only problem is that Spunky usually gets to it first! Yum, this is good! Go away, Spunky--Woof! I like my new food a lot! It's Purina's new smart blend 7+ Senior Formula for dogs my age! The #1 ingredient is real chicken--yum! I also got a special prescription dog food when I went to see my vet--Purina's Joint Mobility kind to strengthen my muscles and chase my arthritis away. I think Spunky Doodle may be feeling a little left out because she didn't get any new food, although Karen did give her a tiny bit of Manny's. I have to eat quick because she's always close by ready to eat mine! I am excited about my new food! Woof! Woof! There are so many different kinds of pet food at the grocery store, but most is not the best for your pets. Consumers should look for the AAFCO statement on the food package, not just what the bag says on the front (located on the side or back usually near the ingredients). Choosing the right food is based on what? When it comes to determining which pet food is right for your pet, it’s as simple as 1-2-3. 1. Life stage – How old is your pet? Is he a puppy or a kitten? An adult? A mature adult? 2. Lifestyle – Does your pet live indoors, outdoors, both? Is he your running partner, or on your lap while you read a book? 3. Health status – Is your pet healthy, or needing special nutrition? Brand X Cat Food is formulated to meet the nutritional levels established by the AAFCO Cat Food Nutrient Profiles for all life stages. Animal feeding tests using Association of American Feed Control Officials (AAFCO) procedures substantiate that Brand Y Cat Food provides complete and balanced nutrition for maintenance of adult cats. The feeding test method is the gold standard for determining nutritional adequacy for a specific life stage. It is the preferred method. The “Feeding Trial Method”: Requires the manufacturer to perform an AAFCO protocol feeding trial as the sole source of nutrition, including required veterinary exams; biological data collection. BEST OPTION: Pet food labels with the AAFCO Statement saying the food has been test fed is the optimal choice. Psalm 139 is one of my favorite Psalms because it is about the greatness of God. It always amazes me how great and awesome God is. The word "awesome" means inspiring awe, feeling awe. "Awe" is defined as a mixed feeling of reverence, fear, and wonder, caused by something sublime, etc. The word is overused today and often not properly; however, in the case of God, He is truly awesome! I cannot read this passage without thinking WOW! I do not even know all these things about one other person; yet God know all of this about everyone in the whole wide world! And not only that, but knew all this about everyone who ever lived since the beginning of time! We can never hide from God. God knows our heart and our thoughts. I love that God knows everything about me. If I read further, I also see that God actually thinks about me. This passage is like getting a "Thinking of You" card from God almighty! This chapter gives great value to human life, knowing that God takes such an active interest in each one of us. I hope you realize how special you are to God today and join me in worshiping Him. GREAT is our God! If you are a farmer, this tidbit is for you! Over at Country Pictures, Lucky Lady mentioned about several barns in the area catching on fire. When I asked how that happens, she sent me this link: Spontaneous Combustion and Hay Fires. It basically says that you need to make sure your stored hay does not get too hot or it can burst into flames! If your a farmer, this article gives some tips on how to avoid this, worth reading! The two new Grizzley bear cubs from Wyoming (Cheyenne and Jackson) have joined the two from Montana (Cody and Cooper). A baby capybara was born too. We'll have to go soon to see these new additions! According to the label test, Abby’s dog food isn’t as good as I thought it was—I should have known when Giant Eagle had it! All the stars have names--God calls them by name! We'll have a post up Sunday about how awesome God is. Some people play volleyball using "rolling scoring" where teams can score even if they didn't serve. I never heard of this until this week when I went to volleyball open gym night at our church. 1) Volunteer at the Parma Animal Shelter. 2) Go to the gym to workout more early in the morning. 3) Join our Senior group at church for trips and luncheons. 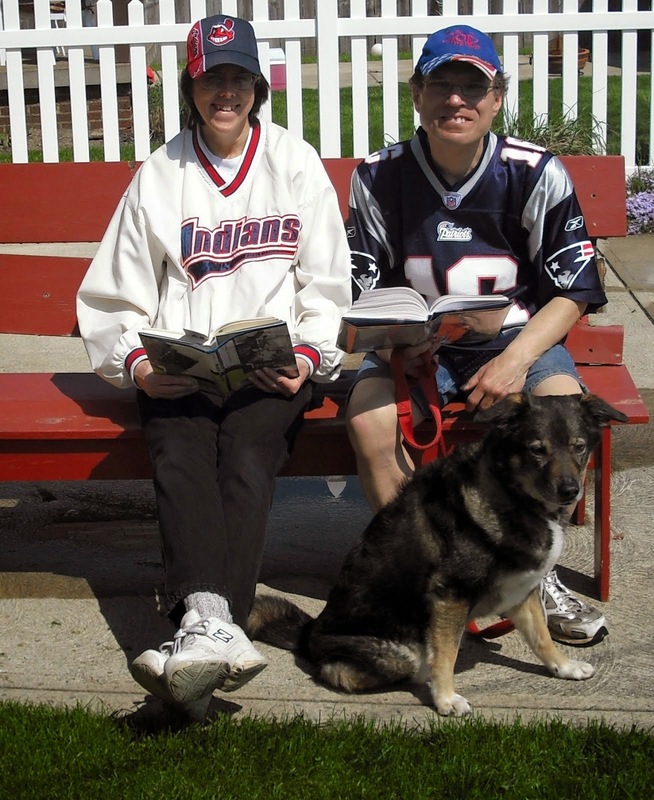 4) Take more walks with each other and our dog, Abby. 5) Visit the zoo more. 6) Visit the Senior Center, Humana, and play games with other people. 7) Maybe sell on Ebay again. 8) Spend more time socializing—join a bowling or golf league. 9) Get her filing cabinets cleaned out. 10) Get Abby certified as a Therapy dog and visit places with her. 6) Sleep later in the morning and stay up later at night. 7) Watch his sporting events to the end! 8) Do more reading and visit the library more. 9) Spend more time working in the yard. 10) Watch an afternoon or morning movie. This was one of Mama Kat's Writer's Workshop Prompts. 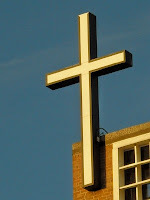 In the New Testament, it is recorded that Jesus often met the needs of people along the way. Some examples are talking to a Samaritan woman at the well, calling Zachaeus to come down from the tree, turning water to wine at a wedding, healing a Centurion’s servant, calming the storm when in a boat on the Sea of Galilee and healing a blind beggar. Jesus went out to where the people were. He did not sit in the temple all day. As Christians, we need to show we love God by loving people in our everyday lives and make the gospel of Christ real by showing His love to them by our actions. Two weeks ago, our Wednesday night Bible study group went to a local park and picked up trash. Instead of sitting in the church talking, we went out into the community to do something helpful outside of our church. On the bus that week, instead of burying my nose in my book, I actually talked to a woman sharing my experience with Cancer and convincing her she definitely should get a mammogram. As I was walking outside on break reading a book one day, a woman came up to me asking for directions to the library which I gladly gave her. On my morning walk to the bus stop one day, one of my neighbors showed me her yard had been torn up by a skunk. We had that same thing happen to us last fall so I told her we used Grub-X to get rid of the grubs. I had just recently come across another solution which I shared with her: place some cucumbers in an aluminum pie tin and place it in the yard. It makes a scent that the grubs do not like so they leave. How can Christians change the world’s perception? By imitating Christ by going out into our world and meeting needs of others. Make some non-Christian friends and leave the judging to God. Ask God to give you an opportunity to be a blessing to someone along the way today. We go grocery shopping every Saturday at Giant Eagle. The store is huge with a wide variety of food along all the walls and in practically every aisle. The prices seem to keep rising, but at least we have food. I don’t know why I was born here in the United States with so much but am very glad I was. The people in these countries strive to survive every day while I chow down at a buffet every week and complain about car repairs or home maintenance costs. We do not have to hunt for food or grow it ourselves. 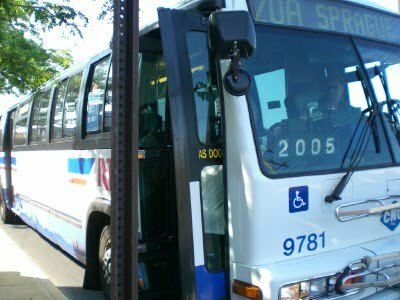 We can go a few blocks from our house and find convenience stores, fast-food places, restaurants and a food court, most within walking distance. My heart breaks when I read about people starving to death in other parts of the world. I cannot imagine going for days without eating. Nor can I imagine how much mothers must hurt when they have no food to give to their hungry children. I received a special alert from Children International last week concerning the food crisis in Zambia, the Philippines, Colombia and Guatemala. Our next charity to benefit from comments on our blogs will be one that provides food for the starving people of the world. The question is, which one: (1) Children International (the one that sent me the flier that spoke to my heart about world hunger), (2) Samaritan’s Purse (one that also includes the Gospel when meeting physical needs consistently where most needed so that people in these conditions can have a better life in eternity), or (3) Heifer International (one that provides livestock that reproduce to help a community--Samaritan's Purse also does this). All these are good but since Samaritan’s Purse also gives people the hope of the Gospel of Christ, we will donate 50 cents for each legitimate comment we get on our blogs during October to Samaritan’s Purse for the hunger crisis. Do you take food for granted too? We challenge you to make your own donation to the charity of your choice! 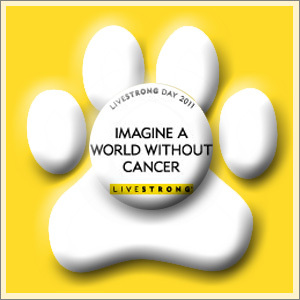 We are joining many other cat bloggers for Live Strong Day today to honor those who lost their fight with Cancer, encourage those who are currently fighting this monster and to celebrate those who are in remission and have survived! Please take some to to watch the slideshow of cats around the blogosphere who all joined in together for this special day. If you or someone you love are currently in this fight and would like us to include you in our prayers, feel free to add the name of the person in our comments on this post. 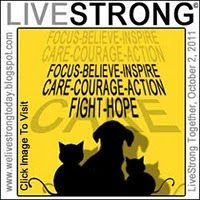 If you need support, visit LiveStrong.org.